March 3, 1999 - Financial communications firm, Magnum Financial Group, engaged by Global Water Technologies, Inc. Global Water Technologies, Inc., (PINK SHEETS: GWTR) an innovative provider of non-chemical water purification and treatment services, announces its corporate headquarters have moved to Indianapolis, Indiana. "Indiana has an excellent technology community, a vibrant entrepreneurial climate, a strong manufacturing history and a new emphasis on clean technology. That's an excellent environment to grow this business," said Erik Hromadka, president and CEO. "Today's Earth Day activities are a reminder that wise use of natural resources is important and no resource is more important than clean water." "We welcome Global Water to Indiana and thank them for their investment and confidence in our state," said E. Mitchell Roob Jr., Secretary of Commerce and chief executive officer of the Indiana Economic Development Corporation. "This company's pursuit of clean technology practices and responsible water management is admirable and reflective of the state's overall mission in attracting new investment." "In this economic climate, controlling costs is key to long-term success," Hromadka said. "In the past three months, the new board has undertaken a review of the company's operations and aggressively cut costs, including a reduction in management and overhead expenses of more than 50 percent. Although there are numerous opportunities for growth in the water industry, we believe it must be managed carefully and developed in a profitable manner." The company is also undertaking a comprehensive review of previous management practices and working to establish the internal and external reporting systems required for relisting with the SEC. The new address for Global Water Technologies is 8501 Bash Street #500, Indianapolis, Indiana 46250. The company's new telephone number is (317) 452-4488. Global Water Technologies, Inc., (OTC: GWTR.PK) an innovative provider of non-chemical water purification and treatment services to the $400 billion water industry, announces the opening of an office in Indianapolis, Indiana and the appointment of a new Chief Executive Officer (CEO) and Chief Financial Officer (CFO). Erik Hromadka, who currently serves on the company's board and is a longtime shareholder, replaces George Kast as CEO and President of Global Water Technologies and its operating subsidiary, Electric H2O, Inc. Dave Treacy, who also serves on the company's board, replaces Matthew Veal as its CFO and Treasurer. Veal continues to serve as a board member. Tim Coughlin, a member of the board and shareholder, assumes the role of Chairman, previously held by George Kast, who resigns from the board. "I am excited for the company and its shareholders, as this is a positive move that brings new talent and resources to help facilitate the company's continued growth and prosperity," said George Kast. "Now is an excellent time to be investing in water and I will continue to be a resource for the company." "There is a growing need to improve energy efficiency and benefit the environment through the use of non-chemical water technologies," said Erik Hromadka. "Global Water Technologies has been an early innovator in this area and we look forward to continuing that effort and exploring new opportunities as a member of the entrepreneurial communities in both Denver and Indianapolis. Global Water Technologies, Inc., (OTC:PK:GWTR) an innovative provider of non-chemcial water purification and treatment services to the $400 billion water industry, announces the appointment of four additional board members. • Erik Hromadka ��� a communications and business consultant based in Indianapolis, Indiana, Hromadka has been a shareholder of Global Water Technologies since 2002. Hromadka, 42, is president of Blue Sky Circle, LLC and serves as editor of Indiana Business magazine. • Tony Sandlin ��� an entrepreneur based in Indianapolis, Indiana, Sandlin is vice president of Avocalon, Inc. and managing director of Aerophare America, Inc. Sandlin, 41, has started several small businesses and is active in numerous professional associations. He is also certified as a commercial hot air balloon pilot and has flown at dozens of events across North America. • Dave Treacy ��� an accountant based in Indianapolis, Treacy has worked with a wide range of businesses for the past 33 years. Treacy, 55, is president of TreacCo, Inc. and serves on the board of the National Automotive and Truck Museum of the United States. • Timothy Coughlin ��� a retired naval aviator based in Indianapolis, Coughlin is president of Avocalon, Inc. and chairman of Aerophare America, Inc. Coughlin, 58, has served as a senior executive at a large for-profit hospital corporation and actively manages business investments in several countries. He has been a significant shareholder in Global Water Technologies since 2007. George Kast, CEO stated, "I am pleased to add these new members to our board which will help guide the company in its future growth. Their varied experience will also help to build shareholder value in the near term and will be a valuable asset as we move into a fully reporting status." Global Water Technologies, Inc. (OTC.GWTR.PK) a technology-driven water purification and services provider to the $400 billion water industry, today released a shareholder letter and update on the company from president and CEO George Kast. As 2008 draws to a close, I would like to provide our shareholders with an update on the company's activities and future plans. - Due to drastic changes in both the financial and commodities markets over the past six months, the sale of Electric H2O, Inc. and Watergy Produced Water Solutions, Inc. that was announced in April 2008 has been rescinded by mutual agreement of the acquiring company and Global Water Technologies. - In exchange for consideration paid to date, the parties have mutually agreed that the acquiring company shall retain Watergy, while Electric H2O, Inc. and its related intellectual property shall immediately revert to Global Water Technologies. Global Water Technologies has historically been a provider of environmentally friendly water solutions and this move will allow us to focus on further enhancing revenue from our portfolio of non-chemical water technologies and expanding our base of customers for related products and services. Such focus on existing products and services is the best way to increase both revenues and profits in the coming year. Global Water Technologies continues to move forward with development of other innovative products and services, including the onsite sulfuric acid patent application and process that was announced this summer. In addition, the board has determined that it is appropriate to continue with its previously announced plans to become an SEC-compliant company in 2009 and seek listing on additional worldwide exchanges. We have taken steps to move forward with these plans, including retiring all outstanding convertible debentures in 2007 and eliminating all long-term debt in 2008. We have not increased our authorized shares in 2008 and believe that we will move into the new year with a solid platform for focused growth as a public water and environmental enterprise. Furthermore, we have listened to the requests of existing shareholders who have sought greater communications and more frequent updates on company activities. In addition to the financial reporting that will result from becoming SEC-compliant, we are also taking steps to provide regular communications with shareholders and all stakeholders of the company. This letter is the first step in that process. I would like to thank all of the current shareholders of Global Water Technologies for their interest in our company and continued support. The past four years have been a period of rebuilding and your support has been key to our future success. I look forward to providing additional information as we move forward with these plans and several other projects that we will be announcing in the near term. Global Water Technologies, Inc., ("GWT") a technology driven water purification and services provider to the $400 billion water industry, announced that it has received worldwide interest from its previously announced onsite sulfuric acid generation patent application and process. Sulfuric acid is the world's single largest chemical market and demand is continuing to rise as developing countries increase their industrial production. George Kast, CEO stated, "We continue to refine the process and identify a strategic location and application for a demonstration site. We believe the market potential for this technology to be in excess of $2 billion a year, based upon current market conditions." Global Water Technologies, Inc., ("GWT") a technology driven water purification and services provider to the $400 billion water industry, announced that it had filed a provisional patent application for its newly developed Sulfuric acid generation process. Sulfuric acid is the world's most widely used chemical and has seen a substantial increase in demand and cost over the past 24 months. The rise in Sulfuric acid costs is primarily due to greater worldwide use by multiple industries, including agriculture, steel, mining, refining, and water treatment. Sixty percent of Sulfuric acid production is used for making fertilizers, which has seen a spike due to increased crop production, some of which is being consumed for Ethanol. The Company has successfully demonstrated the technology and process in its facilities and is now moving toward various field demonstrations and commercial applications. George Kast, CEO stated, "This is potentially one of our most significant technology developments and market opportunities to date. The rising cost of Sulfuric Acid coupled with the increased cost of transportation, presents a unique opportunity for our technology in this vast market. We plan to market the technology through various channels, including direct service contracts for the supply of acid, licensing to various industries and countries, as well as utilization in our own water treatment facilities. The net result is that we can generate H2S04 on site at a substantial savings to the current spot market price and do so without the risks and costs associated with transporting bulk liquid acid. We are seeking financial and strategic partners to assist with capitalizing on this tremendous market opportunity." Global Water Technologies, Inc., ("GWT") a technology driven water purification and services provider to the $400 billion water industry, announced that it has made an initial shipment of a proprietary filtration system to be installed at the US Mint in Denver, CO. The minting process requires exacting standards and reliability for water quality. The treatment system was chosen due to its ability to filter out particulates entrained in the water stream through the operation of the cooling towers, resulting in energy and water savings. George Kast, CEO stated, "This is yet another example of an application of our technology, equipment, and services being applied in a large water treatment market. Global Water has extensive worldwide experience in the design and supply of process cooling water equipment and cooling water is one of the single largest water markets." Global Water Technologies, Inc., ("GWT") a technology driven water purification and services provider to the $400 billion water industry, announced that it has signed an Agreement to provide well water treatment services for a new residential development located in Weld County, Colorado. Per the terms of the agreement, GWT will design, build and operate a well water treatment plant to supply potable water under a 30 year services agreement. The plant will purify well water to be used for a new multi-family residential development located approximately 20 miles northeast of Denver. GWT will begin work on the project upon the developer's receipt of required permits. George Kast, CEO stated, "This is another application of our broad based water treatment technologies and knowhow being applied to a rapidly growing water treatment market opportunity. According to the CDC, between 40 and 45 million Americans regularly depend on private ground water wells for their drinking water and most are contaminated and must be purified to meet drinking water standards." The company is pleased to announce that Mark Marcin has joined GWT as its Technical Director. Mr. Marcin was most recently employed by the Pall Corporation (NYSE: PLL), a recognized World Leader in water filtration, as a Process Application Specialist. He has a degree in Chemistry and brings over 24 years of water and waste water experience in both municipal and industrial sectors. Mr. Marcin's expertise includes the design of low pressure membrane, MBR, and reverse osmosis systems for the municipal market. The company also announced George Kast, Chairman and CEO, will be a speaker at the Profiting in the Water Industry Conference held June 5th in New York City. Global Water Technologies, Inc., ("GWT") a technology driven water purification and services provider to the $400 billion water industry, announced that it had completed the sale of its two subsidiaries, Electric H2O, Inc. and Watergy Produced Water Solutions, Inc. Under the terms of the transaction, GWT will realize $9.2 million paid in the form of cash and a note payable over 60 months. GWT will utilize these funds to finance its strategic plan. The plan includes further development of its leading edge water and environmental technologies and markets, as well as potential related acquisitions. The company also plans to become an SEC compliant company and seek listing on additional worldwide exchanges. Global Water and its former subsidiaries, Electric H2O, Inc. and Watergy Produced Water Solutions, Inc. will continue to headquarter at their current location and George Kast will continue in his management capacity. George Kast, CEO stated, "This is a very positive move for the company as it will provide the necessary resources to pursue our strategic plan. The investment community is seeking a high growth water platform that can attract significant capital to emerge as a public water and environmental enterprise and we have the experience and are well positioned to take a leading role in this exciting and timely space." Watergy Produced Water Solutions, Inc. ("WPWS") an oil and gas services provider of turnkey produced water management solutions announced it has received an additional contract to treat water produced from oil and gas exploration in the Rocky Mountain region. The contract provides for Watergy's technology and equipment to treat an initial 4,000 barrels a day of produced water increasing to 20,000 barrels a day. The treated water will be reused beneficially for irrigation purposes. The source of the water will be from Oil and Gas production on the Western Slope of Colorado. Watergy will also receive an operation and maintenance contract for this facility upon startup. The combined value of the equipment and services contracts is estimated to be $5,000,000.00 over five years. George Kast, CEO stated, "This project is of particular interest as we will be reusing the treated water to irrigate high-value agricultural crops. We will create a real world demonstration of our technology as a model for beneficial use of produced water from Oil and Gas production. The Rocky Mountain region is seeing a sharp rise in E&P activity and the industry is generating a tremendous amount of water. Our approach to reusing this water provides an environmental and cost effective solution." Watergy also reports that it has delivered its initial Oil and Gas produced water treatment facility, and begun start up and testing for the facility. Watergy indicates it is in discussion with numerous other producers for the treatment of their produced waters. Electric H2O, Inc. ("EH2O") a global supplier of environmentally sound water treatment technologies and services announced today it has received new orders for its patented ED 2000 energy and water saving system from the pharmaceutical and HVAC industries in the United States. The ED 2000 has proven its ability to realize energy and water savings in a multitude of applications as evidenced by its global installed base including; agricultural, chemical, commercial, health care, hospitality, power and steel facilities. George Kast, CEO stated, "The need and desire of all industries to become more efficient in energy and water use are positively impacting our growth. We are working closely with our customers and teaming partners to capitalize on the benefits of more efficient use of our natural resources." Electric H2O also announced they will be exhibiting at the upcoming Association of Water Technologies International Conference and Exhibition to be held in Colorado Springs, November 7-10, 2007. Global Water Technologies, Inc., ("GWT") a leader in environmentally sound water purification technology and services to the $400 billion water industry announced today the redemption of all the outstanding amounts and non-converted debentures issued to Highgate House Funds Ltd., a sub-fund of Cornell Capital Partners, now Yorkville Advisors. "Redeeming these debentures is an important step in our strategic plan," said George Kast, Chairman and CEO of Global Water Technologies. "We are now better positioned to attract more suitable funding to accelerate the growth of our installed base of Cleantech energy and water savings technologies." Steady growth in coalbed methane (CBM) and other unconventional energy production has created a large market opportunity where we can leverage our expertise and create real shareholder value," continued George Kast. "Our comprehensive produced water solutions are one of the most economical and environmentally sound methods available to Oil and Gas producers with produced-water disposal and reclamation issues. As we continue to execute and strengthen the company's position, we trust the investment community will realize our value proposition and our stock will begin to better reflect the intrinsic value of our extensive water technology base." Global Water Technologies, Inc., (���GWT���) a technology driven water purification and services provider to the $400 billion water industry, announced that it will be participating in three upcoming investment conferences that focus on Cleantech, Greentech emerging technologies for water and energy savings. At the 4th Annual Energy Investment Technology Conference, October 3-4, 2007, in San Jose, California, GWT will highlight its Electric H2O subsidiary and the energy and water savings achieved through the implementation of its patented ED 2000 technology. Additionally the company will discuss the green carbon credits and other potential environmental credits realized through the utililzation of its technology. The conference attendees include more than 15 Cleantech investment funds and the keynote address will be given by Mr. Dan Reicher, Director of Climate Change and Energy Initiatives for Google.org���s recently launched one billion dollar investment fund. Additional information can be found at www.almevents.com. GWT was also invited to participate in the 2nd Annual Water Finance and Investment Summit to be held in New York City, November 29-30, 2007. This conference is sponsored by Financial Research Associates, LLC, to focus on water industry drivers and investment opportunities in the growing water sector. George Kast, Chairman and CEO of GWT will be a panelist on the topic of ���What���s Hot in Water Opportunities���. Additional information can be found at www.frallc.com. Additionally Mr. Kast will be presenting at the 4th Annual ���Profiting in the Water Industry��� Conference to be held in San Francisco, December 13, 2007. This conference is sponsored by IncreMental Advantage and will focus on the most promising investment opportunities in water technology and services. Details can be found at www.incrementaladvantage.com. Watergy Produced Water Solutions, Inc. (���WPWS���) an oil and gas services provider of turnkey produced water management and treatment solutions announced that it will participate in the 11th Annual Wyoming Natural Gas Fair held in Jackson Hole, Wyoming, September 19 ��� 21, 2007. The Gas Fair is one of the premier events for the Coal Bed Methane and conventional gas industry. The conference is a gathering of industry innovators, key political leaders, governmental agencies, and service providers to the natural gas industry in the Rocky Mountain region. Electric H2O, Inc. (���EH2O���) a global supplier of proprietary and environmentally sound water treatment technologies and services announced today it has received an extension of its contract to treat the cooling water at a United States General Services Administration (���GSA���) facility. A proprietary EH2O cooling water treatment system including the patented ED 2000 was commissioned at a GSA Heartland facility in 2004. The cooling water treatment system has achieved exceptional performance, resulting in significant reduction in water use while eliminating the use and discharge of hazardous chemicals. As a result GSA has awarded EH2O a multi-year contract extension. Global Water Technologies, Inc., (���GWT���) a technology driven water purification and services provider to the $400 billion water industry, announced that, on the advice of its securities counsel, it has suspended any future conversions under the outstanding convertible debentures pending review by independent counsel and the Minnesota department of Commerce. Electric H2O, Inc. ("EH2O") a global supplier of proprietary chemical-free water treatment technologies and services announced that it has recently received new orders for its patented ED2000 energy and water saving technology from the Philippines. The company also announced that it has received additional orders for its proprietary water filtration systems which will be installed in US-based HVAC applications. George Kast, CEO stated, "We are pleased that our products and services continue to gain market share worldwide. With increasing global interest and need for environmentally sound energy and water saving technologies, we are well positioned to rapidly expand this segment of our business." Global Water Technologies, Inc., ("GWT") a technology driven water purification and services provider to the $400 billion water industry, has recently added personnel which includes over 60 years of additional water treatment experience. Rob Lockyer has over 30 years experience in all facets of water treatment system design, installation, operations and maintenance. He is a mechanical engineering graduate from the University of Florida with global experience in the industrial and waste water markets. Rob has a strong background in RO system design and applications for both the industrial and residential markets and was most recently with US Filter. Mr. Lockyer will be working as a project engineer and project manager for GWT's Watergy Produced Water Solutions subsidiary. Roger Arrowsmith will be joining the company in the capacity as sales manager for its Electric H20 subsidiary. Roger is a graduate of UCLA with a degree in chemical engineering and has over 25 years water treatment sales and management experience. He has worked in a variety of water treatment areas including industrial and residential. Mr. Arrowsmith's experience spans the globe having worked for prominent water treatment companies such as Osmonics, US Filter, Culligan and most recently with Innovative Turnkey Systems. George Kast, CEO stated, "I am pleased to add this depth of experience and talent to our team. The availability of useable water is one of the most crucial elements facing us in the future and we continue to position ourselves to address this growing global need." Kate Delaney interviews George Kast, CEO of Global Water Technologies discussing the significance of Watergy's recent oil and gas produced water treatment contract and additional momentum in their various water treatment markets. Global Water Technologies, Inc. is a "CleanTech" water treatment and services company with "clearly" innovative technologies, focused on the energy, power, oil and gas, process, HVAC and municipal markets. Through its subsidiaries, Electric H2O, Inc. and Watergy Produced Water Solutions, Inc., the company utilizes its proprietary technologies and services programs to increase operating efficiencies and reduce water usage through comprehensive water management solutions. GWT has an established client base of over 500 customers in more than 25 countries worldwide. GWT's products treat over 10 billion gallons of water per day. Listen to the podcast to hear more. Global Water Technologies, Inc., ("GWT") a technology driven water purification and services provider to the $400 billion water industry, announced that it has moved into a new corporate headquarters located in Westminster, Colorado. George Kast, CEO stated, "Given the increased demand for our products and services, the new facility will provide additional space to help facilitate our continued growth. This comprehensive building includes office, warehousing, assembly and training facilities. Westminster is centrally located between Denver and Boulder with convenient access for our domestic and international customers flying into Denver International Airport. Watergy Produced Water Solutions, Inc. ("WPWS") an oil and gas services provider of turnkey Produced Water treatment systems and solutions announced today that it has entered into a five year contract with an exploration and production company for the treatment of CBM produced waters. George Kast, CEO stated, "We are pleased this producer has chosen our leading technology and services program for the treatment of their produced water. The initial term of the contract is for five years and we will be treating up to 12,000 barrels of water per day at this site. This contract is expected to generate approximately $2,000,000 in total revenue with initial operations beginning in the 4th quarter of 2007." Mr. Kast continued by stating, "Watergy is well-positioned to capitalize on the growing demand for oil and gas produced water management and solutions." 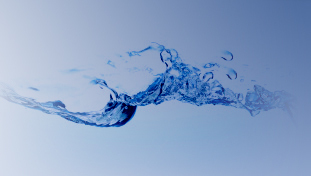 Electric H2O, Inc. ("EH2O") a global supplier of proprietary non-chemical water treatment technologies and services announced that it had recently received new orders for its patented ED 2000 from India. George Kast, CEO stated, "We are pleased to have penetrated the Indian market as it has significant potential for us given their serious need for energy and water savings in this rapidly expanding economy. We will build on these initial installations and believe we can capture an important market share. Additionally, India's water supply has become severely contaminated and utilizing our technology will reduce the amount of hazardous chemicals discharged back into the environment used in traditional chemical water programs." Electric H2O, Inc. (���EH2O���) a global supplier of proprietary non-chemical water treatment technologies and services announced that it had recently received additional new orders and shipped its patented ED2000 technology to Canada and Southeast Asia. Electric H2O, Inc. (���EH2O���) a global supplier of proprietary non-chemical water treatment technologies and services announced today it had received additional orders from The Children���s Hospital of Philadelphia for its patented energy and water saving ED 2000 technology and ED 2000 PLUS comprehensive physical water treatment system. For the fourth consecutive year, U.S. News & World Report has ranked The Children���s Hospital of Philadelphia the best hospital for children in the United States. Throughout its 50 sites, the Hospital supports a green building philosophy, incorporating innovative and environmentally friendly technologies such as the ED 2000 and ED 2000 PLUS. The initial ED 2000���s have been operating for approximately ten years on the cooling towers, boilers and chillers with exceptional results including reduced maintenance and increased energy efficiency. The addition of these ED 2000 and ED 2000 PLUS systems will help the Hospital to further treat many of its process waters without the use of chemicals. Watergy Produced Water Solutions, Inc. (���WPWS���) an oil and gas services provider of turnkey produced water management solutions announced it will co-sponsor and present at the upcoming 8th annual Coal Bed Methane Summit held in Denver, CO March 29th and 30th. Global Water Technologies, Inc., (���GWT���) a technology driven water purification and services provider to the $400 billion water industry, commented today on the positive impacts that its ED 2000 technology can have on reducing Greenhouse gases, which contribute to global warming. Fossil fuel based electrical generation produces 82% of the U.S. energy-related carbon emissions, which leads to higher atmospheric carbon dioxide levels and have been linked to global warming. Many users of electricity are seeking ways of reducing their electrical energy consumption to reduce costs and lessen carbon emissions. GWT���s patented ED 2000 technology has proven very effective in reducing energy use by eliminating mineral scale from chillers and boilers used in commercial HVAC systems. Scale forms when mineral ions in the water come in contact with the heat-exchanger surface. Scale acts as an insulator, thereby reducing the heat-exchange efficiency, resulting in more electrical energy use. By eliminating the scale, the chiller or boiler operates more efficiently, thereby using less electricity. Global Water Technologies, Inc., (���GWT���) a technology driven water purification and services provider to the $400 billion water industry, announced that its subsidiary, Watergy Produced Water Solutions, Inc. (���Watergy���) has recently launched its website: www.watergytech.com. Watergy is a water treatment and services provider to the oil and gas industries. Water produced from oil and gas exploration is one of the largest water management and treatment markets. Watergy offers proprietary water treatment technologies and service models to meet the growing need for environmentally sound water management solutions for this energy sector. Global Water Technologies, Inc., (���GWT���) a technology driven water purification and services provider to the $400 billion water industry, announced that its subsidiary, Electric H2O, Inc. (���EH2O���) had completed its initial testing of agricultural water treatment as previously described in its April 19, 2006 press release. Agricultural water use in the US accounts for approximately 135 billion gallons of water per day. The availability and cost of irrigation water is now a very serious issue for farmers and ranchers in the Western United States and around the world. Prior to the 2006 growing season, EH2O had installed multiple units of its patented ED2000 non-chemical water treatment technology at a farm in northeastern Colorado which irrigates over 12,000 acres. The units were installed on irrigation systems to improve water efficiency and enhance the quality of the crops. As depicted by aerial photos and histograms, the crops treated with the ED2000s grew much faster and were more robust than the crops that were not treated, most likely the result of improved water infiltration into the soil of the treated fields. Third party analyses confirm the treated fields had more water available in the soil for the crops throughout the growing season. Global Water Technologies, Inc., (���GWT���) a technology driven water purification and services provider to the $400 billion water industry, announced that it would be presenting at the National Investment Banking Association���s 100th annual capital conference in Las Vegas, NV November 30 ��� December 1, 2006. NIBA is an international organization encompassing more than 1200 independent broker dealers. NIBA���s member firms have successfully completed some 850 plus equity offerings totaling approximately $9 billion. Global Water Technologies, Inc., (���GWT���) a technology driven water purification and services provider to the $400 billion water industry, announced that its subsidiary, Electric H2O, Inc. has sold another ���non-chemical��� water treatment system to York International Switzerland. Electric H2O (EH2O) is a provider of environmentally sound ���non-chemical��� water treatment technologies and services. EH2O���s proprietary technologies include the patented ED2000 system, which is an electro-coagulation unit (ECU) for the removal and prevention of scale in heat transfer equipment, such as chillers, heat exchangers and evaporative condensers. The ED2000 system has over 200 installations in 10 countries. In addition, EH2O has a complete line of media filters and separators for the removal of various particulates in water systems. EH2O also offers comprehensive ���non-chemical��� water treatment systems and service programs for the HVAC and light industrial markets. EH2O���s customers include HVAC service providers, commercial RIETS, Universities, Hospitals and commercial facilities worldwide. Global Water Technologies, Inc., (���GWT���) a technology driven water purification and services provider to the $400 billion water industry, announced that it will be a co-sponsor and presenter at the upcoming 8th annual ���Profiting in the Water Industry��� investment conference, held on December 4, 2006 in San Francisco. George Kast, CEO stated, ���GWT is pleased to join other sponsors such as Merrill Corporation, and water industry professionals to discuss investment opportunities in this growing market. GWT is strategically positioned with our leading technologies and unique service models to capitalize on the momentum we have in niche water markets.��� This will be a good forum for us to highlight our strategy to companies who are specifically targeting investment opportunities in the world���s most precious resource. Global Water Technologies, Inc., (���GWT���) a technology driven water purification and services provider to the $300 billion water industry, announced that its subsidiary, Watergy Produced Water Solutions, Inc. (���Watergy���) had recently completed successful testing of its Coal Bed Natural Gas (���CBNG���) Ion Exchange water treatment process for the treatment of oil and gas produced waters. Watergy���s testing was conducted in collaboration with a major Exploration and Production company in the Powder River Basin of Wyoming. These independent laboratory tests included sampling for Sodium Absorption Ratio (SAR), Electrical Conductivity (EC) and Whole Effluent Toxicity (WET). In all cases, Watergy���s CBNG treatment process demonstrated its ability to meet Wyoming Department of Environmental Quality discharge standards. Watergy will launch its CBNG marketing campaign at the upcoming Coal Bed Methane Gas Fair to be held in Gillette, Wyoming June 2nd & 3rd. GWT announced today that its subsidiary, Electric H20, Inc. has received an order to supply its patented ED2000 Electronic Water Treatment System to improve the efficiency of agricultural water use. U.S. agricultural water use constitutes 141 billion gallons of water per day, second only to Industrial water use, which is 336 billion gallons of water per day. The Electro-Physical pre-treatment of the irrigation water with the ED2000 System will facilitate more efficient absorption and water use by the plants and soils through the controlled precipitation of minerals resulting in the reduction of the amount of water required during the irrigation season. Additionally, the irrigation system will be less susceptible to fouling, achieving a more even distribution of the water throughout the field. \r\nMr. Gill stated, "I am excited about joining Global Water Technologies\r\nInc. Its development and implementation of innovative technologies to\r\ncost-effectively treat water while meeting environmental and government\r\nstandards is commendable." GWT (OTC:GWTR), a technology driven water purification and services provider to the $300 billion water industry, today announced that it had increased its authorized shares to facilitate its short-term and long-term growth strategy. This action will increase the authorized shares from 25 million to 250 million. GWT (OTC:GWTR) stated that the Company���s securities now trade under the symbol GWTR. Previously, the Company���s securities had traded under the symbol GWTRQ, designating that the Company had been in chapter 11 bankruptcy. Due to our emergence from bankruptcy, the symbol reverts to GWTR. The Company���s securities are traded on the OTC under the symbol GWTR. The Company further clarified that the bankruptcy proceedings did not affect its securities or shareholder���s interests in their securities. Global Water Technologies, Inc., (OTCPK:GWTRQ) a full-service water treatment and purification company, today announced that its plan of reorganization has been confirmed by the US Bankruptcy Court. GWT today announced financial results for the fourth quarter and year ended December 31, 2001. Revenues for 2001 grew to a record $85.6 million, as compared to revenues of $50.2 million in 2000. Operating income for 2001 improved by $4.7 million, resulting from implementation of management���s cost controls and improving market conditions. Net income for 2001 was $260,064, or $0.043 per share, versus a net loss of $2,165,063, or $(0.372) per share, in 2000. Backlog, as of December 31, 2001 increased 61.3% to $55.3 million, as compared to December 31, 2000. Results for the fourth quarter ended December 31, 2001 reflect record fourth quarter revenues of $30.4 million, a 127.8% increase over the prior period. Net income was $236,990 or $0.039 per share, as compared to a net loss of $482,794, or $(0.08) per share, in the fourth quarter of 2000. GWT today announced the election of Mr. Thomas M. Matthews to its Board of Directors during its February 11, 2002 board meeting. Mr. Matthews was previously CEO of Avista Corporation, where he lead the company���s external growth strategy, as well as the continued expansion of its electric and gas utility operations. Prior to Avista Corp., Mr. Matthews served as the President of Dynegy. He was responsible for oversight of Dynegy���s worldwide operations and their corporate merger and acquisition activities. Mr. Matthews was also previously Vice President of Texaco, Inc., President of Texaco���s Global Gas and Power Division, as well as President of Texaco Refining and Marketing, Inc.
Mr. Matthews has served on numerous boards, including the Washington CEO Roundtable, Environmental Power Corporation and the Nature Conservancy of Idaho. Commenting on this appointment, George Kast, Chairman and CEO stated, ���Tom is a great addition to our current Board. His operational experience in multifaceted, multinational entities, coupled with the finance and water industry background of our other board members, will help lead the company into its next phase, especially as we implement our acquisition growth strategy. GWT today announced that it had engaged Raymond James and Associates, Inc. to provide analysis, valuation, structuring and financing of GWT���s prospective acquisitions. GWT today announced that it had filed a patent application for its proprietary AquaPhysics��� non-chemical cooling water treatment system. The AquaPhysics��� system incorporates proprietary technology that replaces traditional chemical water treatment with an environmentally sound non-chemical treatment system. The system is being marketed primarily to HVAC and Light Industrial customers worldwide, through Applied Water Technologies, Inc. (AWT), a wholly owned subsidiary of GWT. Benefits attained through the implementation of the AquaPhysics��� program are: elimination of cooling water treatment chemicals, reductions in energy consumption, as well as decreases in makeup water consumption and tower water discharge. Additional benefits can be attained and quantified from reduced liability associated with improvements in material handling, safety and health related issues. The AquaPhysics��� program incorporates equipment, service, and 24 hour remote monitoring and system control resulting in more efficient cooling system performance. GWT today announced that The McIlvaine Company of Northbrook, IL had recently published a 2000 page report, forecasting that worldwide industrial cooling tower sales will exceed $3.6 billion in 2006, which is a 20% increase over 2001. According to the McIlvaine report, other areas showing growth include the cooling water treatment market, which is a direct result of new water cooling tower installations. Psychrometric Systems��� products thermally treat over 10 billion gallons of water per day in 24 countries. Global Water Technologies, Inc., (GWT) a full-service cooling water treatment company utilizing advanced technologies and engineered solutions to provide process cooling water to power plants, process industries and municipalities worldwide, today announced that it has pledged to New York���s Mayor Rudolph Giuliani, the New York Port Authority, and Silverstein Properties to supply the required water cooling tower for the proposed replacement of the World Trade Center (WTC) Twin Towers. Global Water Technologies, Inc., a full-service cooling water company utilizing advanced technologies and engineered solutions to provide process cooling water to power plants, process industry and municipalities, worldwide, today announced that George A. Kast, President and CEO was recently interviewed by Marketdd.com. The audio interview can be accessed free of charge at http://www.marketdd.com. "Global Water Technologies is focused on helping industry, the world���s second largest water user, make water work harder in their facilities." said Mr. Kast during the interview. "The world is waking up to the ���value��� of water and we are focused on cooling water systems that are more efficient, reliable and environmentally sound. ���In the wake of last week���s tragic events, there has been a renewed focus on natural resources and water is the most precious of all.��� Further, Mr. Kast stated that all of the employees at GWT are saddened by the tremendous loss suffered by so many by the acts of so few. During the interview, when asked about the possible move to the AMEX, Mr. Kast replied: "In order to continue to create shareholder value and further the exposure of our securities in the public market, we felt it would be beneficial to all of our shareholders to have our securities listed on a national exchange. This will enable us to attract additional institutional investors and money managers who are restricted from investing in OTC companies." Global Water Technologies, Inc., (GWT) a full-service cooling water treatment company utilizing advanced technologies and engineered solutions to provide process cooling water to power plants, process industries and municipalities, worldwide, today announced that its Psychrometric Systems, Inc. (PSI) subsidiary has been awarded over $100 million in contracts this year. When completed, these facilities will supply cooling water to the electric power industry and process industries worldwide. Global Water Technologies, Inc., (GWT) a full-service cooling water treatment company utilizing advanced technologies and engineered solutions to provide process cooling water to power plants, process industries and municipalities, worldwide, today announced results for the second quarter and six months ending June 30, 2001. Revenues for the second quarter were $20.3 million, as compared to revenues of $13.9 million in 2000. Revenues for the first six months increased 32% to $37.2 million, as compared to $28.1 million for the same period in 2000. Operating income for the second quarter and the first six months of 2001 improved by $846,793 and $1,039,950 respectively, resulting from implementation of management���s cost controls and improving market conditions. Backlog increased to $59.2 million, a 73% increase over December 31, 2000. GWT announced today that it has submitted its application for listing on the American Stock Exchange. The Company���s stock currently trades on the OCTBB under the symbol GWTR. GWT today announced that it had achieved a significant milestone through the recent installation and start-up of a water cooling system supplied by GWT to General Electric (NYSE:GE) for a Calpine Corporation (NYSE: CPN) power plant in Maine. At the completion of this installation, GWT is thermally treating over 18 billion gallons of water per day in 24 countries through its proprietary cooling water technology and equipment. Additionally, this latest installation was independently tested and confirmed an efficiency rating of over 106%. Efficiency of cooling water is an important element in over all power production and plant efficiency. GWT today announced the election of two new independent Directors to its Board during the annual shareholder���s meeting June 27, 2001. These two new Directors are Mr. G. Edward Powell and Mr. Damian C. Georgino. Mr. Powell was previously with PricewaterhouseCoopers, an international accounting and consulting firm. During his 35-year tenure, he was directly involved in a wide variety of both publicly and privately owned business enterprises in various industries. He was appointed to the position of managing partner of the Houston office in 1982 and retained that position until his retirement in 1994. Additionally, he organized and managed the firm���s NAFTA Business Center in Houston, the focal point for all PricewaterhouseCoopers client interaction with Mexican investment activities. Since his retirement, Mr. Powell has become associated with several emerging and middle market businesses, both privately and publicly owand process industries worldwide, today announced its wholly owned subsidiary, Applied Water Technologies, Inc. (AWT) has signed an agreement with YORK International Corporation (NYSE: YRK) to provide its proprietary AquaPhysics��� cooling water treatment technology and services through York for a Hilton Hotel (NYSE: HLT). YORK International is the largest independent supplier of heating, ventilating, air conditioning and refrigeration (HVAC&R) equipment in the United States and a leading competitor in the industry internationally. The company���s products are sold in over 120 countries and York has approximately 24,400 employees worldwide. In addition, YORK International provides outsourcing of service and maintenance contracts for many facilities where HVAC&R equipment is utilized. Commenting on the contract, George Kast, President and CEO stated, ���We are very pleased to work with and support York on this project. York���s reputation as a leader and innovator in the industry, combined with it���s ongoing service and maintenance programs, provides AWT an excellent platform for future sales of the AquaPhysics��� cooling water treatment system. Additionally, the AWT program incorporates a technology currently being used by York to enhance chiller performance and energy efficiency through the reduction and prevention of scale build-up. There are over 500,000 HVAC cooling water systems in operation today that require treatment. AWT���s AquaPhysics��� system is providing this market with an environmentally sound means of cooling water treatment, while reducing water and energy usage." GWT announced that its Psychrometric Systems, Inc. (PSI) subsidiary has been awarded an additional $30 million in power contracts. PSI is a leading supplier of innovative water cooling towers that supply the vital cooling water to power plants worldwide. These new contracts were awarded by General Electric (NYSE: GE), as well as two other major corporations. Under these contracts, PSI will supply water cooling towers to power plants in 8 states, and these projects will be completed in 2001/2002. GWT today announced that it has retained the services of Equity Growth & Management Corp. a financial consulting firm based in Lake Mary, Florida to assist the Company in the implementation of its strategic expansion plan, increasing market share and enhancement of shareholder value. Equity Growth & Management Corp. is a consulting firm specializing in Investment Banking, Corporate Finance, Mergers & Acquisitions and Public Relations for publicly traded companies. In an interview, Thomas E. Waite President of Equity Growth & Management Corp. stated, ���With the new administration���s announced plans to establish a National Energy Policy, we have been diligently searching for clients in the power, energy and utility sector and believe we have found a crown jewel in GWTR. He further stated, ���I feel confident that GWTR is poised to accelerate its growth due to increasing demand for new power and energy resources globally. George Kast, President and CEO of GWTR stated, ���We have been interviewing financial consulting firms for the past few months and we are confident that our decision to retain Equity Growth & Management Corp. will prove to be a valuable asset to our company, as well as to our shareholders. Mr. Waite brings years of valuable experience to our organization and we look forward to working with him.��� Kast further stated, ���We continue to assemble a world class team which has the experience and talent to implement our business strategy and we are preparing to accelerate our sales and marketing efforts to secure a substantial market share and capitalize on our competitive advantages���. GWT today announced that its��� wholly owned subsidiary, Psychrometric Systems, Inc. (PSI) has received Factory Mutual (FM) approval of its fiberglass (FRP) cooling tower design. This proprietary cooling tower system, referred to as Model CFU-FM, is currently available to its customers worldwide. Factory Mutual (FM) is an independent testing agency recognized worldwide by the insurance industry for approval of products that meet certain fire prevention criteria without the use of an external fire protection system. After several years of development, PSI believes that this design will revolutionize the power, commercial, municipal, and light industrial markets due to its unique design and cost affective attributes to its customers. Global Water Technologies, Inc. (OTCBB:GWTRD), a company utilizing advanced technologies and engineered solutions to provide process cooling water to industry and municipalities worldwide, today announced that its water cooling subsidiary, Psychrometric Systems, Inc. (PSI) has been awarded an additional $10 million in new contracts during the fourth quarter to supply its water cooling technology and services to its power industry customers. The projects are scheduled for delivery during the first and second quarters of 2001. Global Water Technologies, Inc. (OTCBB:GWTRD), a company utilizing advanced technologies and engineered solutions to provide process cooling water to industry and municipalities, worldwide, today announced that it had received an additional $20 million in contracts during the 3rd Quarter. GWT today announced its wholly owned subsidiary, Applied Water Technologies, Inc. (AWT) has signed a long-term agreement to provide its proprietary environmentally sound cooling water treatment technology and services to the University of Maryland Medical Center located in Baltimore, Maryland. The University of Maryland Medical Center is a large academic health center that combines medical education, biomedical research, patient care, and community service. It is a major part of the University of Maryland Medical System, a regional, multi-hospital system of 1,900 beds and 9,000 employees. It operates in conjunction with the University of Maryland Medical School, the 5th oldest medical school in the United States. Under the 5-year agreement, the AWT program will service an 8,100 GPM cooling water system that will be expanding to approximately 12,000 GPM next year. AWT���s AquaPhysics�� treatment system components have been designed to allow for this expansion. GWT today announced that its wholly owned subsidiary, Psychrometric Systems, Inc. (PSI) was awarded a $2.7 million contract to supply two water cooling towers for the Mutnovsky Geothermal Power Plant, located in southern Siberia which is being financed by the European Development and Reconstruction Bank. The cooling water system supplied by PSI will cool 50,000 gallons of water per minute. PSI will supply its proprietary fiberglass structure that is designed to withstand the severe weather conditions encountered in this region. PSI is the world���s leader in FRP composite material utilized in water cooling towers. GWT today announced its results from operations for the second quarter ending June 30, 2000, as well as results from its recently launched business to business internet site. Gross profit from operations during the period was $1,383,301, as compared to $1,864,913 for the same period in 1999. Revenues for the second quarter were $13,895,793, as compared to revenues of $25,311,604 for the same period in 1999. Revenues for the first six months were $28,141,147, as compared to revenues of $39,340,475 for the same period in 1999. Global Water���s recently launched business-to-business internet site has received a tremendous amount of response with on-line activity up more than 500 percent. Global Water Technologies, Inc. (OTCBB:GWTR), a company utilizing advanced technologies and engineered solutions to provide process cooling water to industry and municipalities worldwide, today announced that its water cooling subsidiary, Psychrometric Systems, Inc. (PSI) has been awarded a $3 million contract to supply a water cooling tower for an approximate 800 megawatt power plant located in Sayreville, New Jersey. The new plant is being built by Raytheon Engineers. Under the contract, PSI will supply a water cooling tower to cool approximately 200,000 gallons of water per minute, and is scheduled for completion in June of 2001. Global Water Technologies, Inc. (OTCBB:GWTR), a company utilizing advanced technologies and engineered solutions to provide process cooling water to industry and municipalities worldwide, today announced that its recently formed Global Water Services, Inc. (GWS) subsidiary has signed an agreement with Northwestern Steel and Wire (NWS) of Sterling, Illinois. Under the agreement, GWS will supply over 30,000 gallons of cooling water per minute and will ensure a reliable source of cooling water for the new arc furnace. The structure of the agreement, believed to be the first of its kind in the industry, will allow NSW to utilize their capital and resources in other areas of their facility while GWS provides essential cooling water. Chris Fiora, Vice President/General Manager of Northwestern Steel and Wire stated, ���This is an important project in our plan to increase production and melt shop efficiency. GWS��� Performance Plus service program best meets oul Water Technologies, Inc. (OTCBB:GWTR), a company utilizing advanced technologies and engineered solutions to provide process cooling water to industry and municipalities, worldwide, today announced that its Global Water Services (GWS) subsidiary has recently added two regional vice presidents of business Development to roll out it���s innovative Performance Plus Cooling Water Service Program. Global Water Technologies, Inc. (OTCBB:GWTR), a company utilizing advanced technologies and engineered solutions to provide process cooling water to industry and municipalities worldwide, today announced that its water cooling subsidiary, Psychrometric Systems, Inc. (PSI) has been awarded a contract with Saskatchewan Power, a major utility in Western Canada. Under this contract, PSI will supply a composite structured water cooling tower for this utility, which will provide 20,000 gallons a minute of cooling water for the Shand Power Station. A composite structural tower was chosen primarily due to its longevity and the fact that it does not contain toxic preservative chemicals, such as chromates, which have been known to leech into ground water supplies. Global Water Technologies, Inc. (OTCBB:GWTR), a full-service water management company utilizing advanced technologies and engineered solutions to provide process cooling water to industry and municipalities worldwide, today announced record operating results for the fourth quarter and year ended December 31, 1998. Revenue and operating income results for the three and twelve-month periods reflect significant growth over the prior year periods. Net income would have reflected a 72% growth over the prior year before effecting a change in accounting. Awarded contracts during 1998 exhibited a 119% increase over the prior year and yielded a record backlog of $27 million for the Company going into 1999. For the year ended December 31, 1998, revenues jumped 86% to $34.7 million as compared with revenues of $18.7 million in the prior year. Operating income for the year rose 98% to $1,923,218 as compared with operating income of $970,754 in 1997. Net income for the year was $227,373, or $0.001 per basic and diluted share as compared with $570,982, or $0.002 per basic and diluted share in the prior year, on 294,251,063 and 270,014,801 weighted average common shares respectively. The difference in net income for 1998 compared to 1997 is mainly the result of a board-approved change in accounting principle effected in the fourth quarter of 1998 and retroactive to January 1, 1998 which resulted in a one-time extraordinary charge to net income of $754,296, net of the related income tax effect of $593,119. Prior to the extraordinary item, net income for 1998 would have been $981,669, or $0.003 per basic and diluted share, reflecting a 72% growth in net income over the prior year. For the fourth quarter December 31, 1998, revenues jumped 108% to $14.8 million as compared with revenues of $7.1 million in the prior year period. Operating income for the fourth quarter increased 105% to $1,979,261 as compared with operating income of $965,580 in the prior year period. After recognizing the above referenced change in accounting principle, amounts for the fourth quarter results ending December 31, 1998 are summarized on a pro-forma basis as if the change in accounting principle had been in effect from January 1, 1998. As such, net income for the quarter was $1,069,076 or $0.004 per basic and diluted share as compared with net income of $616,266, or $0.002 per basic and diluted share, in the fourth quarter a year ago on 294,854,250 and 293,425,000 weighted average common shares respectively. Revenues for the year and fourth quarter were derived from project management services, sales of water cooling systems, and sales of spare parts and supplies to the Company���s customer base. Contracts awarded for the year and fourth quarter were $53.3 million and $27.5 million, respectively, an increase of 119% and 157% when compared to the $24.1 million and $10.7 million awarded in 1997. For the year and fourth quarter, international revenues comprised 15% and 7%, respectively, of total revenues compared to 20% and 27%, respectively, in the prior year periods. The decrease in percentage of the international business is due to the increased proportion of domestic business to total revenues. Global Water Technologies, Inc. (OTCBB: GWTR), a full-service water management company utilizing advanced technologies and engineered solutions to provide process cooling water to industry and municipalities worldwide, announced today its engagement of Los Angeles-based financial communications specialist, Magnum Financial Group, to broaden the Company���s audience within the investment community and financial media so as to generate interest and participation in the Company���s publicly traded securities. In a concerted effort by management and Magnum Financial Group, the Company plans to broaden its prospective investment audience by stepping up communications with certain segments of the national media, trade publications, and financial media to develop followers for its water technology and management story. To increase exposure and leverage the vast reach of the Internet, management is researching and approaching Web sites that deal with the water industry, the environment, and water treatment technology where the Company can be profiled. The primary focus of Magnum Financial Group is taking the Company���s investment opportunity directly to the retail brokerage and institutional communities with the objective of increasing investor awareness. Simultaneously, Magnum will be communicating with research analysts that track the water management, water treatment, and environmental technology sectors with the goal of encouraging their initiation of published research coverage on Global Water Technologies which will provide an independent analysis of the Company���s current and future market value. The analyst���s research report is reviewed by brokers, institutional fund managers, and individual investors. Magnum���s communication programs are very financially-oriented and designed to get the client���s investment story to the specific audiences suited for the client���s story. News releases, fact sheets, corporate profiles, and presentations produced by the firm are structured to appeal to financial professionals at various sophistication levels. The firm���s approach is structured, disciplined and proven. Commenting on the engagement, George A. Kast, President and CEO of the Company, remarked "Since early 1997 we began aligning ourselves with strategic partners and acquiring technologies to position the Company to meet changing industry needs. We have built a company that has demonstrated its ability to compete successfully in the global marketplace. To capitalize on this success and enable us to grow more rapidly, we became a publicly traded company in November 1997." "Confident of our marketing abilities within the industry, we will now also focus on the issue of marketing our public corporation; and we have developed a multi-tiered plan to get our corporate story and investment opportunity out to the public. In engaging Magnum Financial, we have signaled the launch of this campaign. Magnum as a specialist firm was hired to bring our stock price and resulting market capitalization in line with our current and forecasted financial performance as well as assisting in structuring the Company for listing on the NASDAQ Small Cap Market" Kast continued. Magnum Financial principal, Steven B. Johnson, offered, "We are very pleased to have been selected to represent Global Water Technologies and are certainly privileged to have the opportunity to work with management over the next year. As we too are selective in whom we represent, we feel Global Water Technologies is a truly superb organization in an industry that will soon command the attention of the entire world. Water is a precious resource-both to consumers and industry. The Company has wisely positioned itself to capitalize on three key segments of the water industry which are now becoming increasingly important and alarming to government and industry alike-cooling water for industry���s engines and massive processing equipment, environmentally-safe water purification and reclamation, and residential water service." "Aside from being well positioned, the Company has very sound fundamentals and impressive financial performance. Based on historical financial results, estimated 1998 results, and management���s internal forecasts for 1999, we are of the opinion that the Company���s stock is significantly undervalued at today���s price levels." added Johnson. "We are certain that a more fair market value that better represents the past performance and future potential of the Company can be attained in the near term." Los Angeles-based Magnum Financial Group LLC, is a financial communications, corporate development, and financial advisory firm representing public companies with smaller market capitalizations as well as those companies planning to become public. Magnum is well recognized for its knowledge of the capital markets, communications strategies, and substantial contacts in the investment community. Global Water Technologies, headquartered in Golden, Colorado, is a full-service water management company utilizing advanced technologies and engineered solutions to provide process water to industry and municipalities worldwide. Psychrometric Systems, Inc. (PSI), a wholly owned subsidiary, is an engineering and construction management firm which designs and builds industrial process cooling water systems. Applied Water Technologies, Inc. (AWT), another subsidiary, is a manufacturer of proprietary non-chemical water treatment systems for environmentally sound water purification and reclamation. These news releases contain forward-looking statements within the meaning of Section 27A of the Securities Act of 1933, as amended, and section 21E of the Securities Exchange Act of 1934, as amended. Such statements are subject to risks and uncertainties that could cause actual results to vary materially from those projected in the forward-looking statements. The Company may experience significant fluctuations in future operating results due to a number of economic, competitive and other factors, including, among other things, the size and timing of customer orders, changes in laws, new or increased competition, delays in new products, production problems, changes in market demand, market acceptance of new products, seasonal in product purchases, and changes in foreign exchange rates. These factors, and other factors, which could materially affect the Company and its operations are included in the Company���s filings with the Securities and Exchange Commission and are incorporated herein.